Stainless Steel, Flat Head, Splined Body Rivet Nuts. 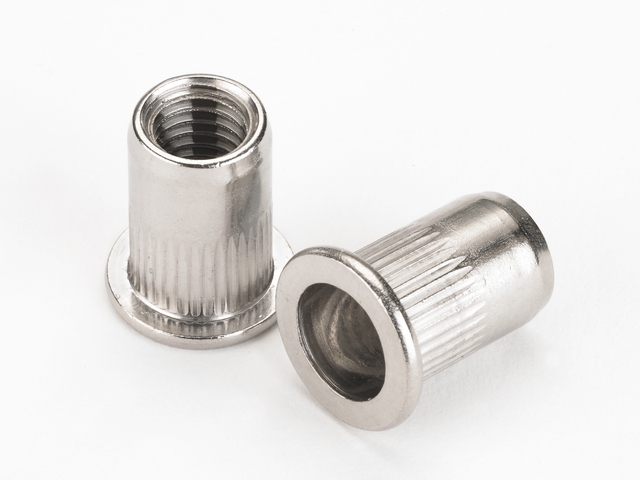 The splines on the body bite into the parent material on installation, creating an improved torque resistance compared with standard round bodied rivet nuts. The flat head creates a high load bearing feature.